Have we moved from Recession to Recovery? With a couple of bright spots in the economic news lately, is the United States economy on the road to recovery? Jobs. The national unemployment rate dipped from 9.5 to 9.4 in July. Bolstering the importance of this news is the fact that this decrease was the first time in 15 months. Employers cut significantly fewer jobs in July than June. Housing. The housing market seems to have turned a corner in many US markets and overall. 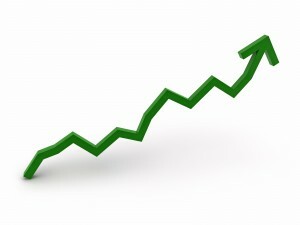 The pace of sales is picking up with a 6.7% increase in June from the previous year. Home prices also seem to have hit bottom and in some areas new construction is scheduled to start impacting our economy positively in third quarter reports. Debt. I think most Americans put the brakes on unnecessary spending during the past year regardless of their employment status. Just the thought that we might need those savings accounts led us to spend less and save more. Interestingly, this debt reduction may slow the recovery, but it’s a good thing overall for Americans. No one is predicting a quick recovery, but the signs are encouraging and seem to point to a recovery nonetheless. Are you personally experiencing the benefits of better economic indicators?